Open enrollment is Upon Us. How Should You Handle It With Patients? Open enrollment is upon us once again. How can two simple words create so much complexity? Every November-December, medical practices, insurance companies, patients, and medical billing services face down healthcare’s least favorite season - and every year it seems to get more challenging for all parties involved. Just how challenging? In a recent survey of 400 adults who purchase their own health insurance, ConnectedHealth found that more than half of those polled felt choosing a health plan was more complicated than solving Rubik’s Cube. 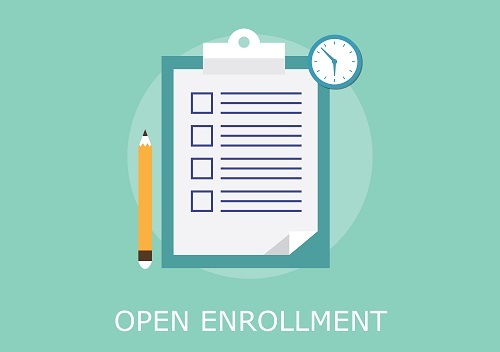 Depending on their employer coverage or familiarity with the Affordable Care Act and the state and national healthcare exchanges, your patients may see your practice as their only resource for navigating the complexity of open enrollment. But given that patients and providers have far different financial concerns, that’s a tricky spot for practices to find themselves in. What should, and shouldn’t, you say? Nov. 1, 2015: Open enrollment started. First day you could enroll in a 2016 insurance plan through the Health Insurance Marketplace. Coverage can start as soon as Jan. 1, 2016. Dec. 15, 2015: Last day to enroll in or change plans for new coverage to start Jan. 1, 2016. Jan. 1, 2016: 2016 coverage starts for those who enroll or change plans by Dec.15, 2015. Engage in the Dialogue, Your Way: Since your practice management already has more than enough to worry about, you may be hesitant to even discuss open enrollment concerns with patients. But dodging the conversation altogether can make patients feel like you’re pushing them away, or that you don’t care whether they stay covered for care from your practice. Craft an open enrollment game plan so your staff knows how to field queries from patients. One smart way to handle it is to create a fact sheet outlining the above dates and sharing, to the best of your knowledge, what plans your practice will be working with as a “preferred provider” in the coming year. (If you know a particular plan is dropping you, make that clear.) Add additional ‘FYI’ information to make sure patients understand the potential challenges of switching plans due to price hikes (i.e., the difference between an HMO, PPO, and HSA). Designate a Point Person: Some of your patients - especially those who are ill, elderly, or lacking help from family - may need a bit more assistance to understand their obligations. If you have a patient advocate on staff, clear some time on their schedule to deal with patients who want to discuss deductibles and deadlines. If you do not have an advocate on hand, determine which staff member has the most open enrollment intel (it’s likely someone from your billing department) and carve out time in their day to call patients who ask your practice for help. Open enrollment aligns with the holiday season, after all; a little extra kindness goes a long way!